Kari Albarado had blue and gold pride before she even landed a job at ETSU. Albarado is the new Campus Recreation Director and started her new position in July. 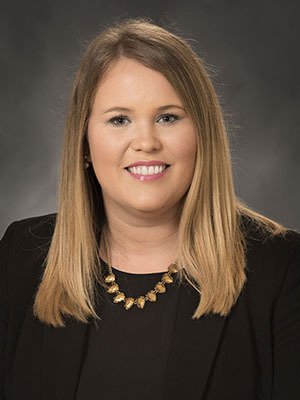 She worked at Texas A&M University—Commerce before as a senior associate director with the university’s campus recreation. A&M-Commerce was formerly known as East Texas State University and its school colors are blue and gold, so working at ETSU is not a big transition for her. “ETSU blue and gold has been in my system for a long time,” she said. Albarado is from Scott County, Virginia, and has always been familiar with the Tri-Cities. She earned a bachelor’s degree in history from the University of Virginia’s College at Wise. There she became interested in campus recreation and went on to get her master’s degree from Western Illinois University in sports management. Since becoming the Campus Recreation Director, Albarado said she has been busy with programming, outdoor adventure trips, intramural sports and group fitness classes. In her former position, she worked on several projects for new recreation facilities, and she hopes to bring some of that expertise to ETSU. Albarado is currently working with University Relations to update the Basler Center for Physical Activity with more school pride elements. She also plans to transform the courtyard in front of the CPA within the next few years into a better spot for students to use and hang out at. As a former graduate student herself at Western Illinois, Albarado said working with over 230 ETSU campus recreation student workers is one of her greatest passions of her career. Albarado lives 30 minutes away from campus in Gate City, Virginia, but hopes to relocate closer to Johnson City as she, her husband and twin daughters get more settled in to life away from Texas. For now, she is excited to start making plans for ETSU’s campus recreation.